We’ve been working hard on upgrading all aspects of Dérive app. It’s time to unleash the fruits of our labour to the world. Dérive app has been completely rebuilt from the ground up. It’s now faster, smoother, better and, yes, cooler. It’s very cool. In fact, it’s likely that if you’re spotted with the new version of Dérive app on your mobile device, bystanders will instantly think you’re about, oh, 12% cooler. All content of the current (old) release of Dérive app is migrated to the new release. Except for user accounts created after Thursday December 7 2017. Additionally, users that never logged in to the app after Dérive app became available in the iOS and Android stores (a good year ago) are not migrated to the new release of Dérive app. 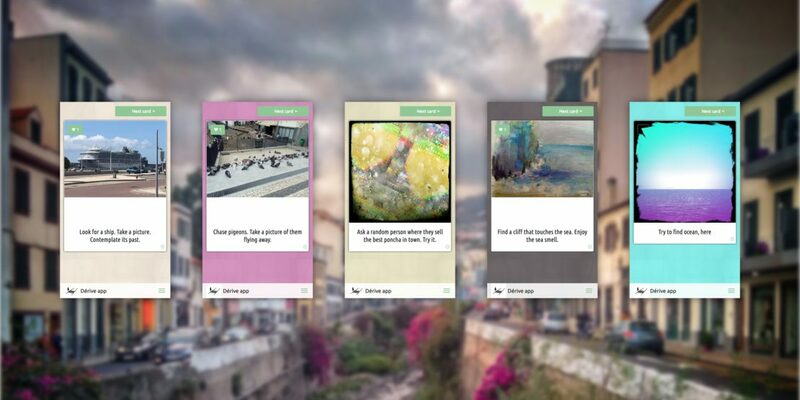 This means that some cards and art might end up being attributed to the Dérive app team. Contact us to resolve this. The actual release date of the new Dérive app depends on the Apple authorisation process. We expect to go live on Android on Friday December 8, on iOS a few days later. If you need earlier access to the new release on iOS, contact us and we get you onto the beta version.